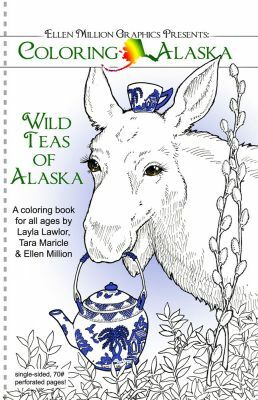 From Coloring Alaska, Wild Teas of Alaska is not fantasy, but is rather fanciful, with animals, botanically accurate plants, and many fancy teacups and teapots. 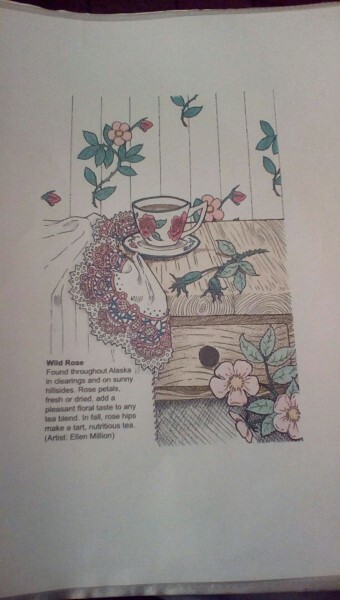 This is a mini-coloring book containing 12 single-sided, perforated pages, Each tea includes a short description. 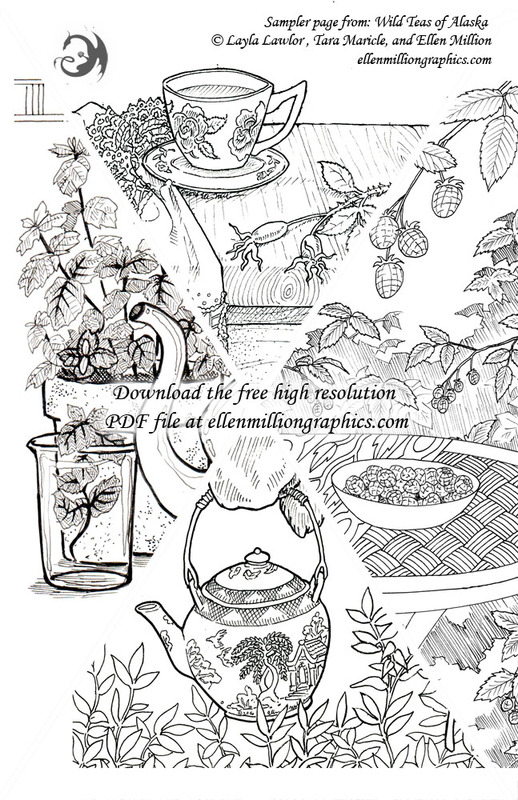 Download a high resolution coloring sampler page! 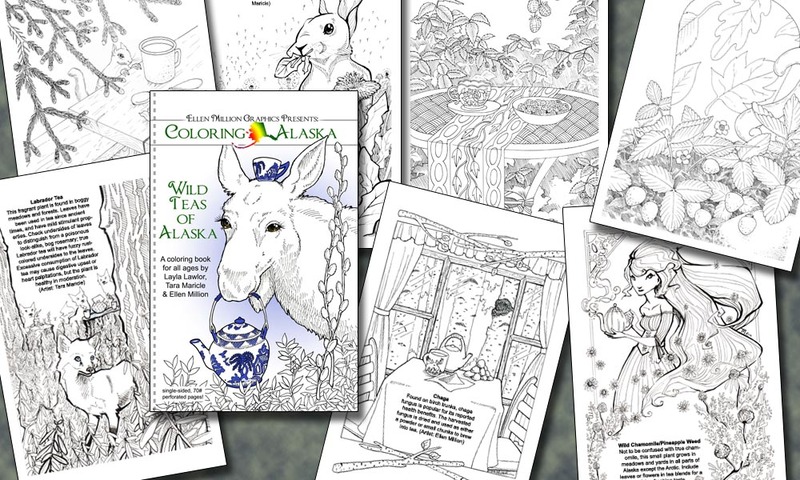 This coloring book has been featured in the Alaska Cache Box subscription. Sign up for Alaskan treasures in your mailbox.